What Do You Know About the Farm Bill? If you live in the United States, you need to know that the House of Representatives is currently working on the Farm Bill,H.R. 1947 . What’s the Farm Bill? It’s legislation that covers most aspects of agriculture in the US, including animal agriculture. It also covers the SNAP program (formerly known as food stamps). Included in this bill is also subsidies to farmers, and they get plenty of them. Of concern to those of us who love animals is an amendment put forth by Steve King of Iowa, known as the King Amendment. This amendment, supported by the GOP leadership, would override any state laws that address how animals used as food are cared for. It’s no secret that Rep. King opposes all animal welfare regulation, and his amendment would ensure that agribusiness could continue to house chickens in cages so small they can’t even spread their wings and pigs in cages so small they can’t even turn around. There are other things that the GOP is doing in this bill that concerns us. Some states have laws requiring labels on GMO food. King’s amendment would make those laws ineffective. The law also cuts food stamp benefits to recipients while at the same time increasing the amount of pork going to big agribusiness. Will that farm pork make our fresh fruits and vegetables any less expensive? No. It simply means higher profits for the businesses of agriculture. Which in turn means those who are struggling now to feed their families healthy foods will struggle even more. 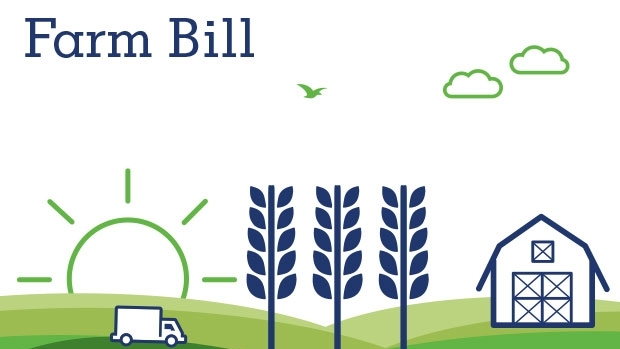 I encourage you to learn more about this sweeping bill that will impact the very food you eat for the next five years, and then call your representative and OPPOSE THE FARM BILL. You can click here to find out who is your representative. Oh, wait. Let me guess. You only care about the plight of dogs and cats, and can’t be bothered with food animals. They aren’t the same. Besides, all farmers are happy grandpas like the books you read as kids. Ya think? Those bearded Santas do some pretty lousy things to animals. Besides, puppy mills are considered agribusiness and are covered under the King Amendment. Remember that the tortured souls of those cows, pigs and chickens are the food you’re putting into the bodies of your children, your pets, and yourself. If you are what you eat, then you are made up of hundreds of animals whose existence was filled with cruelty. No wonder humans are so messed up. Take a stand for animals. Ask your representative TODAY to vote against the Farm Bill. UPDATE: I just learned the bill was voted down 195/234. There is a chance the bill will be brought back up by leadership, so don’t let your guard down just yet. But for now, the King Amendment is defeated! « Words on Wednesday- We have Amazing Friends! As the owner of pet sheep I can tell you they are loving,fun,sentient beings who have the capacity to remember up to 100 people they have contact with,i know that cows cry when they lose a calf and that pigs are in fact smarter than dogs,chickens are also gentle clever and loving…all animals are entitled to live in safe and happy environs and anyone who thinks they deserve less is deluding themselves as to the ability for sadness and fear these creatures feel.Yes humans are on a self destruct mode…until we treat our animals better then we have no respect for other humans either. This guy sounds like a right moron to me. He is a pawn of big agribusiness from a state that supports big agribusiness. Some people happily sell their souls……disgraceful individual. It’s not just relevant to the US though is it? Agribusiness is big bucks all over the world. I know, I write about it from time to time, but appreciate that people don’t want to read unpleasant facts. I’ll avoid the sarcastic rant and would say one thing, if people really want to take a stand for animals they shouldn’t eat/wear/abuse/kill them. I agree, but I also know they are so indoctrinated to believe a meal must include meat that we will work long and hard to change that idea. In the meantime, the bill about GMOs is greatly concerning as well. We already see how farmers have been unable to effectively manage those crops. we’re all eating GMOs now and most of us don’t even know what they are. Problem is, without people to stand up and say the “unpleasant facts” that “no one wants to read”, then people like Rep. Steve King would have won the war a long time ago. So for all that peor don’t want to read or hear the facts, the facts remain facts, so someone needs to stand tall and repeat them so they don’t get ignored. If there’s one thing I’ve learnt from rescuing and helping all kinds of animals (including springbok, chickens, rabbits, etc) is that they all have very distinct personalities and feelings. The thought of any animal suffering is heartbreaking. And the thought that we condone such abuse through our inaction is frightening. Same here too – I could cry when I hear the “meat-trucks” with their screaming passengers. That’s the reason why we eat no meat. That’s why meat processing should not be out of sight… it’s too easy to put out of mind. Have you been able to find how many donations (or more blatant gifts) have been given to Rep King from Agribusiness? Thanks for your informative post, Rumpy! Leave it to the GOP to attack those who are the weakest in our society, rather it be animals or poor people. They always opt in favor of what’s best for Corporate America! My mom wishes she could be a vegetarian….The Farm Bill ignores animal rights completely……..how sad…. You beat me to it on this one. This farm bill is horrid. Even sushi benefits…animals, not so….and that Christmas tree advertising campaign is still in there. It’s a shame that greed rules above all else in society. Thanks for this informative post. There is nothing that isn’t revolting about that bill or the man behind it. Having grown up with cattle, sheep, goats, etc, I can definitely say that each of those animals has their own mind and personality and deserves to have the right to live out a decent life. Each of the animals that we had lived out a good life with plenty on room to roam, friendly human contact, and lots of loving care and food. Some of my favorite memories growing up was playing with Sally, one of our goats, and the sheep. To take away that simple freedom and a happy life is unthinkable. Thank you for helping to raise awareness about this- too often people seem to forget about the ‘meat animals’ and focus only on the dogs and cats end of it rather than the whole. This is a horrible bill! Thank you for bringing it to everyone’s attention, Rumpy. Most people don’t think about food animals and the cruelty they suffer. We called our representative yesterday. Thanks for taking a stand, Rumpy! It worked! The bill was voted down!! Good. I contacted my rep also. Yeah the bill is dead!! Thanks for highlighting. I must say that I’m woefully ignorant of farming practises here in Australia. We’re given this fairy tale of animals roaming freely on large fields, but I suspect the truth is probably not as rosy. Not at all my friend. Seems to me megacorps and megabanks run everything disenfranchising animal and people and land and air and sea for money and we are all exploited. I cannot tell you how happy the defeat of this bill makes me. For a year (over15 years ago) I lived in Chino, CA. It had so many dairy and cow farms that on certain days the smell would overwhelm. Turns out several of the farms had hands that would use fork lifts to prod “downer” cows. Since that time, the whole area has been bought up and developed which is both good and evil. The farms where this happened were caught by concerned individuals that visited the farms and caught it all on camera. This is why I am so glad the hideous bill was defeated. Well, that was certainly more than 2 cents!